1. A Captain America night-light for shining a light on the path to the bathroom, all the horrors that your bf Chris Evans is gonna fix. Get it from Amazon for $29.79. / Also available in Thor's hammer, Iron Man's mask, Iron Man's hand, Spiderman's mask, Spiderman's hand, Hulk's face, Hulk's hand, Yoda's face, Boba Fett's mask, and Darth Vader's mask. Get it from Amazon for $32.30. / Also check out Rick and Morty Mr. Meeseeks' Box O' Fun Dice Dares Game and playing cards. 3. A swords decal to stick above your ~porcelain~ throne where you watch actual Game of Thrones...and hopefully not suffer patricide. Get it from Amazon for $24.98. 4. A Tardis jewelry box that's so handy you'll swear it's bigger on the inside. Get it from BoxLunch for $31.92. 5. A Beauty and the Beast toothbrush holder because making out with a beast probably requires some rigorous dental hygiene. Get it from BoxLunch for $18.32. 6. 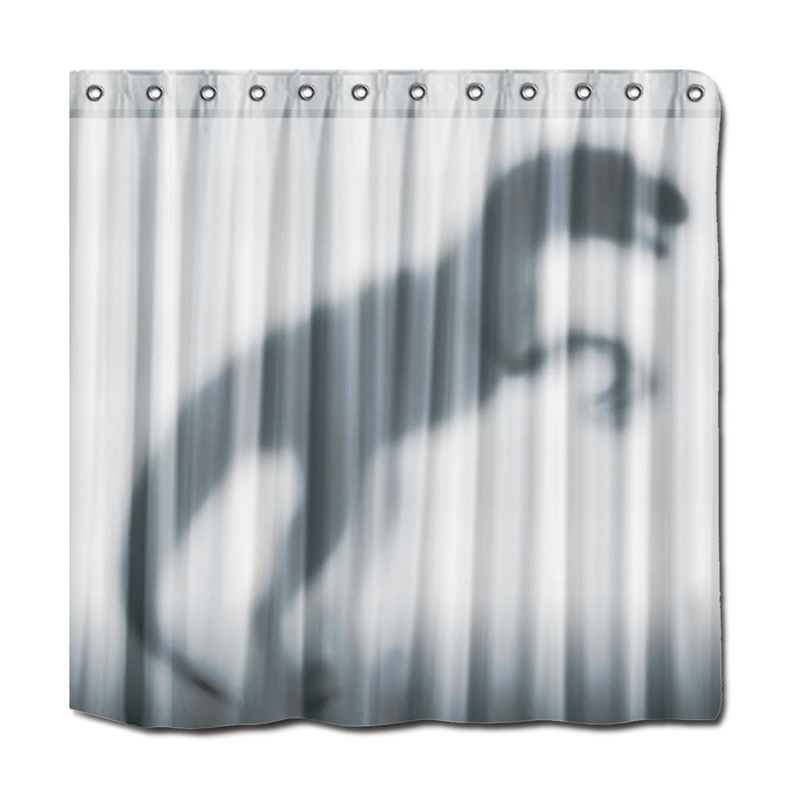 This Jurassic Park shower curtain and coordinating "shaving cream can" for causing more waves than a few water rings. 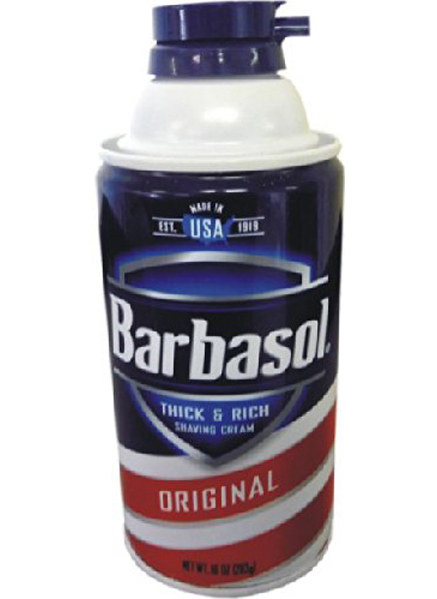 Get them from Amazon: shower curtain for $18.99 and shaving cream storage can for $13.95. 7. A Sunnydale wall pennant so everyone in the Scooby gang can at least feign school spirit despite this week's impending apocalypse. And perfect timing, considering the Buffy cast reunion. Get it from GoodGoodPins on Etsy for $20. 8. A set of Super Mario Bros. wall decals that'll teach kids about their forefathers. 9. 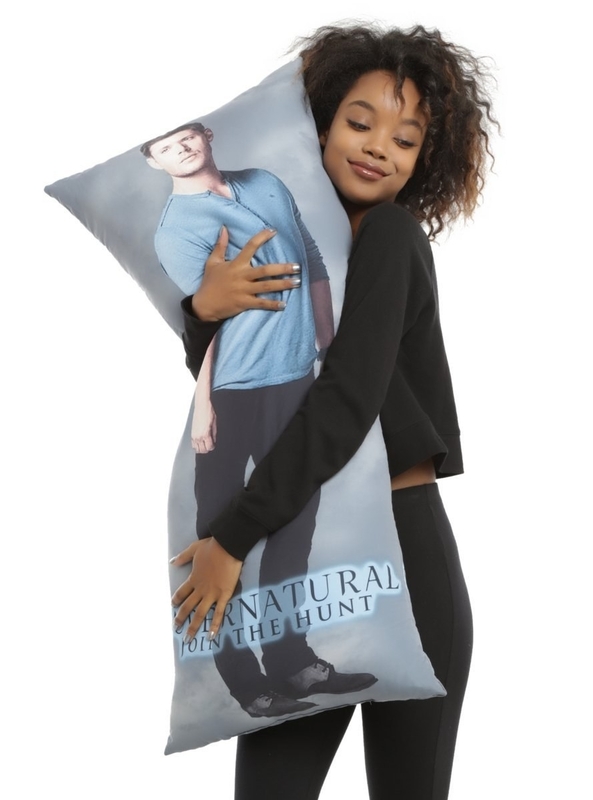 A Supernatural body pillow or frisky pillow case for holding onto the Winchester brothers ever so tightly. Get them from Amazon: body pillow (with Sam on the other side!) for $39.90 and naked-ish pillow case for $10.19. 10. A Millennium Falcon rug to help create a real sense of ~space~. Get it from ThinkGeek for $49.99 or Amazon for $54.95. 11. 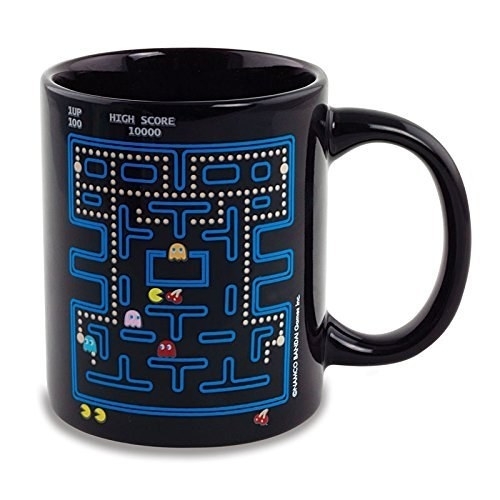 This pair of heat-changing Pac-Man mugs so you'll have one to share...or for your other hand. 12. 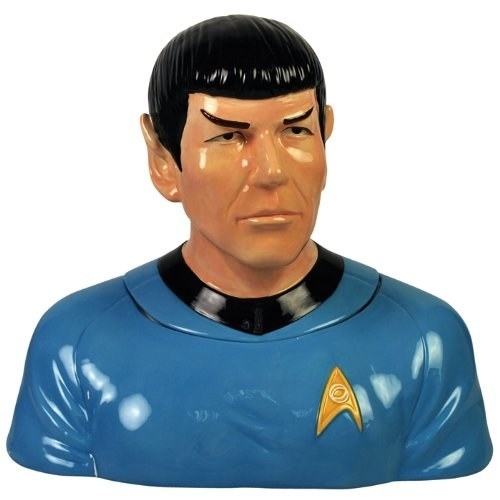 A Spock cookie jar to keep by your side on the couch while you binge on Star Trek for the millionth time. Get it from Amazon for $60. 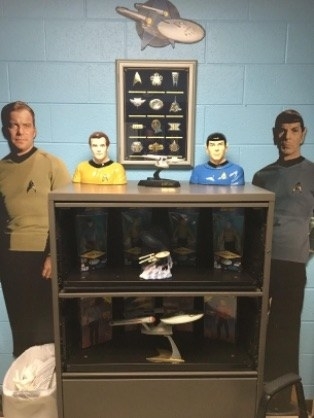 / Also available in Leonard McCoy, Worf, Jean-Luc Picard, and James T. Kirk. 13. 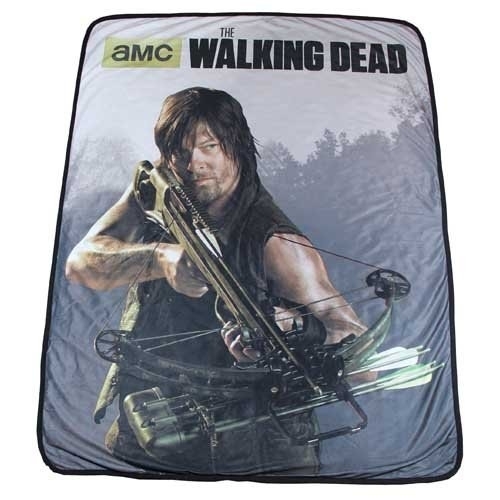 A Daryl throw that's the closest you'll get to being in the arms of your The Walking Dead bf. 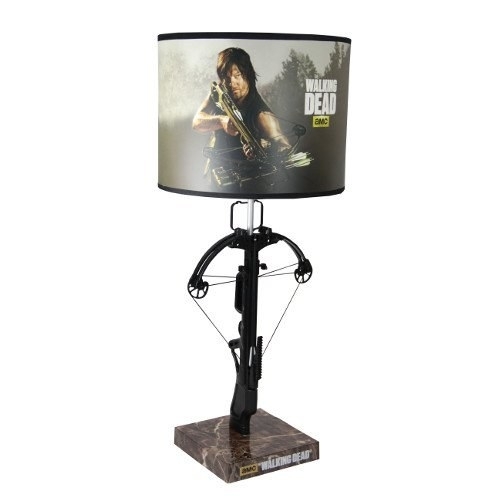 And a matching crossbow lamp to set the mood. Get them from Amazon: throw for $39.95 and crossbow lamp for $79.99. P.S. Like your Daryl with shorter hair? There's also a blanket for that. 14. A Middle Earth map for keeping track of all your aspirational travel plans, covering everything. 15. 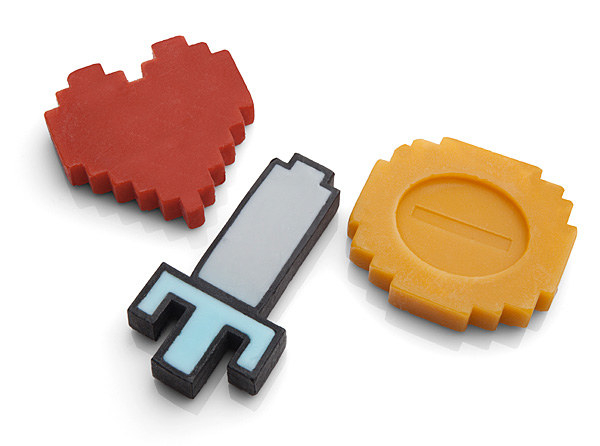 Some 8-bit soap to get young (or tbh, old) gamers stoked for handwashing seshes. Get them from ThinkGeek for $19.99. 16. A Nuka-Cola drinking cup to slurp from while you play Fallout. 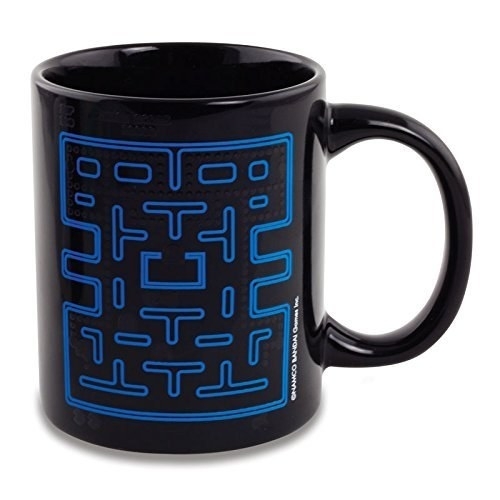 Get it from ThinkGeek for $8.99. 17. This Zelda key holder that'll remind you to take what you need before you head out the door. Get it from Amazon for $15+. 18. A Hogwarts Express sign so everyone'll know precisely where to run at your wall with their luggage carts. Get it from ThinkGeek for $14.99. 19. A Jack Skellington coin bank that easily doubles as a pose for a judgy meme. Get it from Amazon for $16.85. 20. A too cute Pikachu lamp with seven color options. Get it from Amazon for $21.68. / Also available in Eevee, Bulbasaur, and Charmander. 21. An Necronomicon Ex-Mortis switch plate that could lead to some Evil Dead–level bad decisions on college kids' parts. Get it from Fairytale Nightmares on Etsy for $25.